Very exclusive luxury hotel and condominium residences. 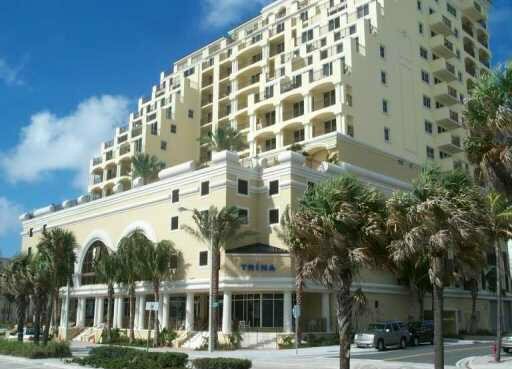 This is the first five-star designated hotel and residences to be developed in Broward County. A signature building representing the finest condominium residences, offering the ultimate in services and features. The design features a 23-storied tiered tower set on a expansively landscaped podium featuring an infinity pool. The curvilinear colonnade faces the Atlantic with elevated air-conditioned access to the beach. There are 29 Penthouse residences in the tower. Amenities offered at the resort will include 24 hour room service, professionally-trained and accredited concierge, butler, maid and other personal services. Also valets, transportation, marina services and facilities are available. The spectacular ocean, coastline, and city views are priceless. A casual yet elegant, luxurious life-style combining world-class design with superb resort amenities. The residential tower will have its own private entrance, elevators, doorman and service personnel. Residence features include European wood custom kitchens and bathrooms, marble floors and extensive private terraces and balconies.